Jaycee Lawrence has never had room in her life for anything less than perfection. 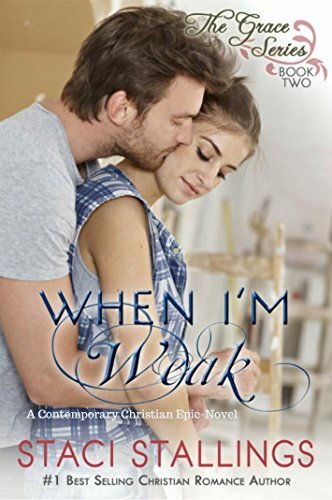 Now charged with keeping the hottest contractor on television in one piece and on schedule, her life revolves around production times and remodeling nightmares—not to mention the very real issue of guarding her heart from falling for her very eligible boss. Weakness in this industry is not an option, and it’s never been one for Jaycee either. Then life starts throwing kinks and curve balls at her. With her family back home in jeopardy, what will she choose -- the job and Derek or the life she left behind when it collapsed around her? Derek West never pictured himself running his own construction show, but working for the Home & Hearth Channel has become his Number One priority. On the job, he will settle for nothing less than 100% perfection, and that’s why he likes having Jaycee around. His focus and drive is only surpassed by hers, and he has learned to relax and work and let her take care of the rest of his life for him. However, when tragic news strikes for Jaycee back home, Derek soon realizes his reliance on her might run deeper than just schedules and take-out. Can he fight the growing attraction with the woman he always thought was just doing her job? Or is Derek in much deeper than he ever thought possible—too deep to go back and deep enough to drown if he doesn’t figure out how to stay strong and resist the feelings that are quickly becoming impossible to ignore?